Mercedes-Benz has reportedly approved an EQS for its electric vehicle lineup. The flagship sedan model will be produced on an all-new electric platform to battle with the Tesla Model S and Porsche Taycan. AutoCar reports the EQS will be similar in size to the CLS, but intended to be the flagship sedan of the electric EQ lineup when it launches next year. The car will be built on a new architecture dedicated to electric vehicles with a flat floor and extensive use of aluminum for mass reduction purposes. Like the brand’s recently launched EQC, the EQS is expected to have two electric motors, one on each axle, to provide all-wheel drive power. The EQC generates 402 horsepower and 564 pound-feet of torque, but given the EQS is expected to be an upmarket product, additional juice is likely. 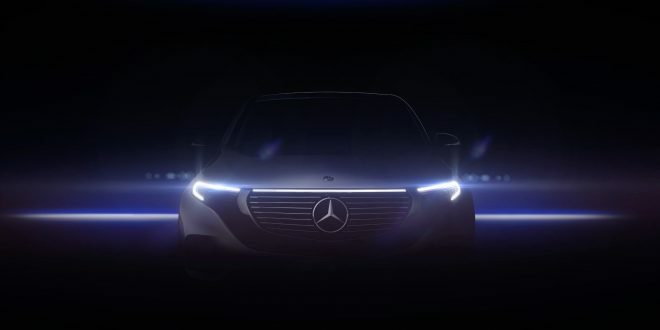 The EQS is expected to launch in 2020 and will be Mercedes’ third fully-electric EQ model. While the EQC SUV has already been revealed, Mercedes has also confirmed an electric hatchback, the EQA, as the second EQ model. In total Mercedes-Benz intends to launch 10 battery-electric vehicles as part of its future product plan. Double edged sword if it ends up hurting S-Class and CLS-Class sales.